The traditional narrative of Chinese civilization is that the Han people (who originated on the fertile central plains around the Yellow River) invented cities, writing, advanced agriculture, bronzework, and Chinese civilization in general. The first great era of Han Chinese civilization was the Shang “dynasty” which lasted from 1600 BC to 1046 BC (although stories persist of an earlier—perhaps mythical—Xia dynasty). After the Shang age, the superior Han gradually spread through all of China incorporating lesser peoples into their greater hegemony (which endures to this day as the mighty nation we call China). 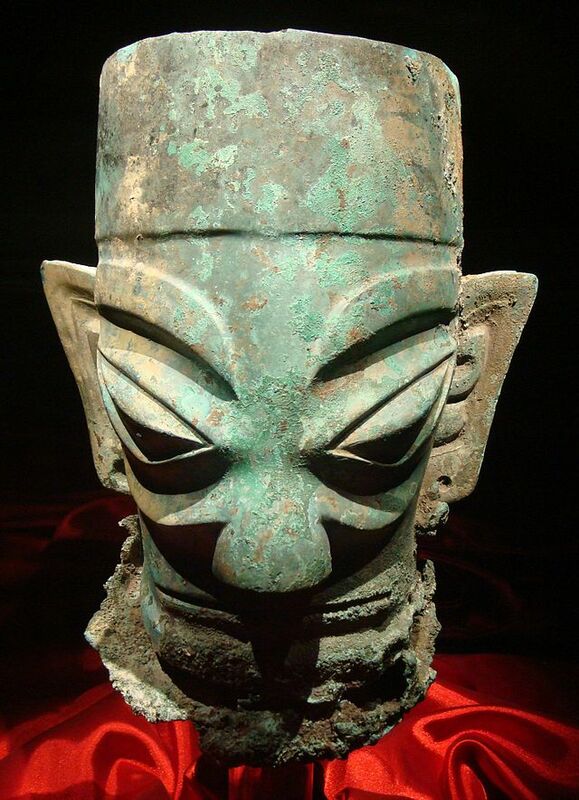 This narrative was called into question in 1986 when workers at the Lanxing Second Brick Factory in Sichuan discovered an ancient pit full of exceedingly weird and magnificent bronze statues. Archaeologists flocked to the site and began researching the civilization which was behind these strange works or art. 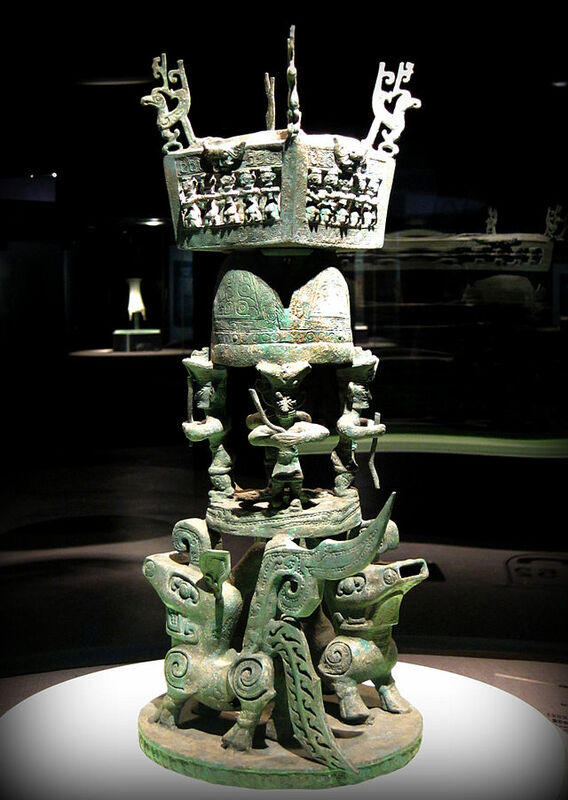 It became apparent that the bronzeworks came from a culture which was contemporary to Shang dynasty China, but which was not directly connected. These ancient people are known as the Sanxingdui culture. They flourished in the Sichuan region, but, aside from the self-evident fact that they were gifted bronze artists, very little is known about the. 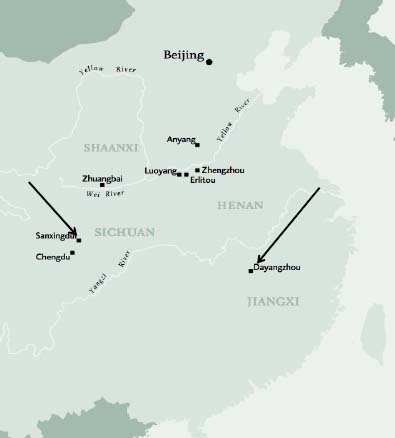 Archaeologists speculate that the Sanxingdui people lived unified under a strong centralized theocracy in a walled city; also some Chinese scholars identify the Sanxingdui with the Shu kingdom (which is mentioned occasionally in extremely ancient Shang-era sources). 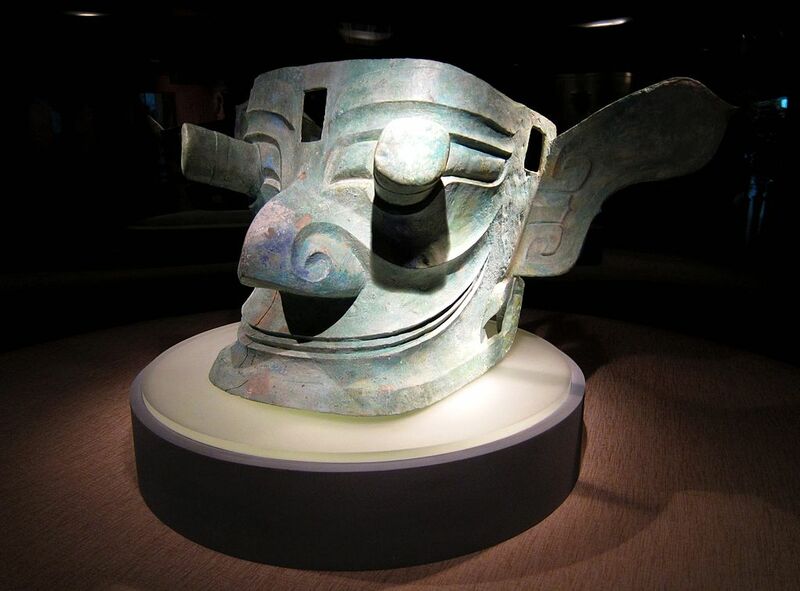 I would love to tell you more, but since the Sanxingdui left no recorded history, that is virtually all we know about the creators of these exquisite bug-eyed sculptures and masks. It is believed that some natural disaster or invasion wiped out their city-state and the survivors became integrated with the Ba culture which were in turn swallowed up by the Chin Empire. Whatever the truth about them, they made amazing art. In addition to the huge alien faces, animals such as snakes, fish, and birds abound in Sanxingdui artwork—as do zoomorphic combination animals and fantasy creatures like dragons. Practical items such as axes and chariot wheels were also found. Naturally there is a vocal minority out there who insist that Sanxingdui culture was influenced by aliens, Atlantis, or whatever other supernatural entity du jour is selling books, but to find out more about them, we are going to have to wait for more discoveries.